A suspect in a Hillsborough kidnapping cold case is now behind bars more than 20 years after the crime. 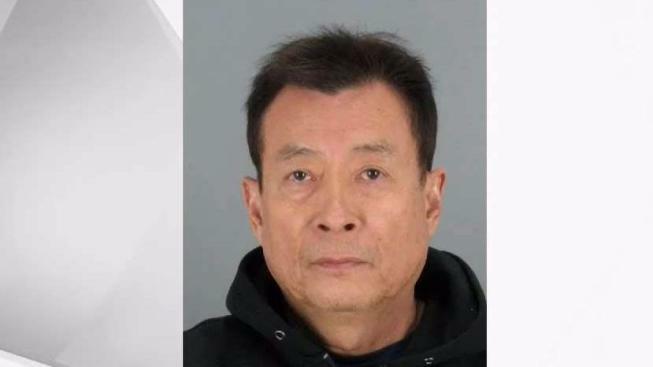 Kevin Lin, 68, appeared Monday at the Hall of Justice in Redwood City on charges he kidnapped a 9-year-old girl in 1995. He did not enter a plea. After 22 years on the run, police said Lin made a critical mistake. If convicted, he faces life in prison. When Lin applied for a visa extension using his real name, that raised a red flag with the state department, who notified Hillsborough police. "It was a name match and we requested information and the photos were very similar," Hillsborough Police Capt. Doug Davis said. Police had been searching for Lin for 22 years in connection with the kidnapping of Kristine Chieu. The girl was taken as she walked home from South Hillsborough School. Lin allegedly held her for $800,000 ransom, but when he realized the girl's parents were in Taiwan, he and two other suspects dropped her off at a hotel near San Francisco International Airport. Lin faces two felonies -- kidnap for ransom and conspiracy for ransom, according to San Mateo County Chief Deputy District Attorney Karen Guidotti said. Lin, with the help of a Mandarin interpreter, did not enter a plea, but did ask for a public defender. Lin through the interpreter said all his money was in Taiwan. Davis said he was a patrol officer when he started working the case. "I was at the start of my career and now at the end," Davis said. "It's gone full circle." Davis said he always considered it an active case. "The family has been made aware of the arrest," he said. Lin's bail has been set at $5 million.